Mount Vernon - Mount Vernon is the most popular historic estate in America. Over 85 million people have visited Mount Vernon since 1860. Guests visiting the estate can view Washington’s Mansion and many other original structures. The historic footprint also includes the tomb of George and Martha Washington and a memorial dedicated to the enslaved people who lived and worked on the estate. Interpretive spaces such as the Pioneer Farm and George Washington's Gristmill & Distillery provide a rich understanding of Washington's enterprising and profitable business ventures. 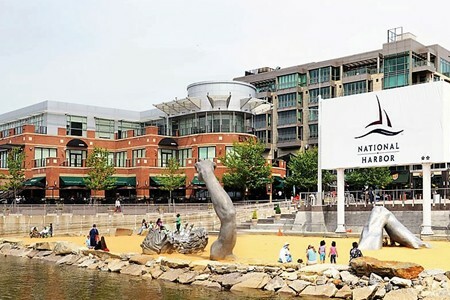 National Harbor - Enjoy waterfront dining at over 30 locations, shop or visit the National Children’s Museum. Take a ride on the 36 foot Americana Carousel featuring a herd of whimsical creatures. View the DC skyline from the Capitol Wheel, the newest world class attraction soaring 180 feet above the river with 42 closed gondolas. 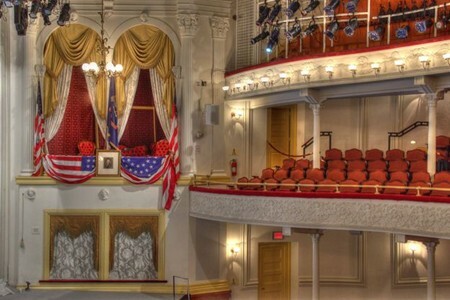 Ford’s Theatre - Explore the events surrounding President Lincoln’s assassination. You will visit Ford’s Theatre, the Petersen House where Lincoln died as well as the aftermath exhibits and museum. The White House Visitor’s Center offers a window into the president’s iconic home through interactive touch screens and over 90 artifacts from the White House collection. Smithsonian Museums - Visit one or more of the museums at your own pace. Please note that the Holocaust Museum and the New National Museum of African American History and Culture require timed tickets. Admissions to both are free. Arlington National Cemetery is an enduring tribute to those who’ve dedicated their lives to defending the ideals of our nation. A visit here will leave an indelible impression on your spirit. Visit the Tomb of the Unknown Soldier, witness the changing of the guard, stops at the US Marine Corp War Memorial, John F. Kennedy grave site and more. Bureau of Engraving - Located in the heart of the Nation's Capital, the BEP's Washington, DC Tour and Visitor Center is a great place to learn all about U.S. paper currency. You can see millions of dollars being printed as you walk along the gallery overlooking the production floor!